El Aventurero Cancion Bolero. Lyrics and Music by Pepe de la Vega. Sung by Ernesto Riestra. 1945 Robbins Music. Sheet music is in good condition, wear at edges. 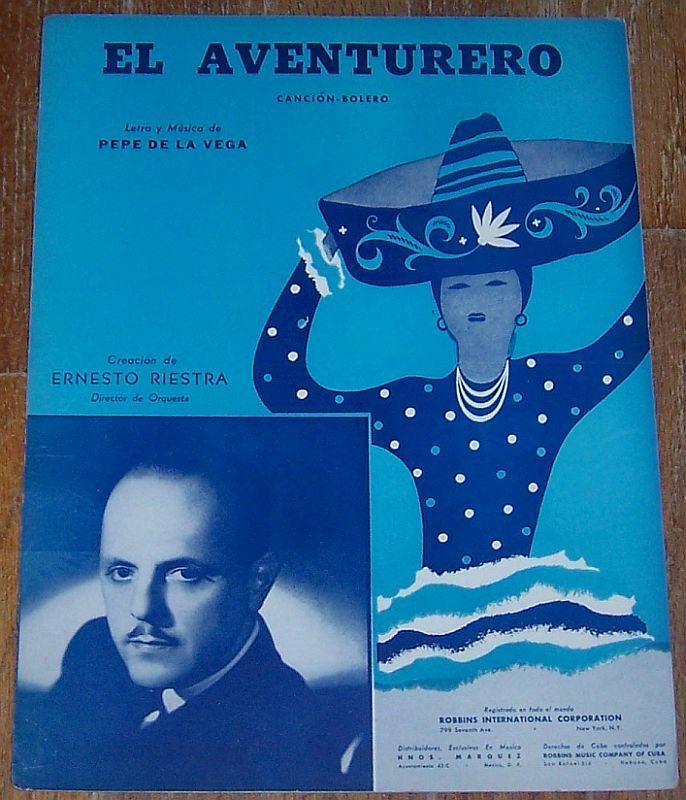 Items Similar To "El Aventurero Cancion Bolero Sung by Ernesto Riestra 1945 Spanish..."